BAATN and TRS [www.therelationalschool.com] have come together to host a meeting between our two organisations in the company of New York based psychoanalyst Anton Hart. This day-long workshop offers the opportunity to think and talk–with both familiar and unfamiliar colleagues–about issues of diversity and otherness, focusing on the cultivation of curiosity and openness within the therapeutic dyad. We will consider the ways that increasingly open communication across the borders of difference can be facilitated, and the obstacles to such openness surmounted. The aspiration for the workshop is to free up dialogue concerning how we are different, particularly when such differences intersect with socially charged, historically laden forms of difference that involve prejudice and “othering,” such as race, sexual orientation, socioeconomic status, and other important diversities. Aiming for such open dialogue, we can prepare ourselves for the emergence of difficult, anxiety-evoking, unsettling, awkward and possibly shame-inducing conversations. Sometimes, even, we should seek these difficulties for the crucial opportunities they offer. This workshop attempts to encourage participants to move toward such challenging conversations in their clinical work and professional relationships, and to risk unconventional forms of openness and inquiry. Through the presentation of a conceptual overview featuring a hermeneutic orientation to dialogue, followed by the presentation for discussion of case material where issues of diversity figure prominently, and through structured, dialogic experiential exercises, we will attempt to increase our tolerance for the challenges to our personal senses of knowing who our dialogic others are, and who we ourselves become, as we enter into conversation across the borders of human difference. “In order to open up speech between ourselves and our colleagues and also our patients about the ways that we are different (particularly when such differences intersect with socially charged, historically laden forms of difference, that involve prejudice and “othering,” like race and sexual orientation), we must prepare ourselves for—and even seek—difficult, threatening, unsettling, awkward and shame-inducing conversations”. “In the field of psychoanalysis, it’s been minimized how profound the trauma of racism actually is”. About Anton Hart PhD, FABP Anton is a Fellow, Training and Supervising Analyst and on the faculty of the William Alanson White Institute in New York City. A member of the IPA and APaA, he is a fellow of the Board On Professional Standards and an Alternate Member of the Executive Council. He supervises at Teachers College, Columbia University and at the Derner Institute of Adelphi University. He is a member of the Editorial boards of the journals Psychoanalytic Psychology and Contemporary Psychoanalysis. 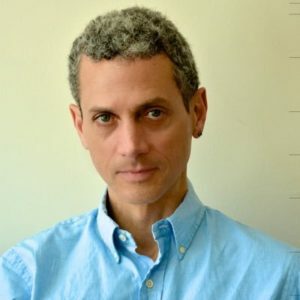 He teaches in the Department of Psychology at Mt Sinai/St Luke’s -Roosevelt, at the Institute for Contemporary Psychotherapy and at the National Institute for the Psychotherapies. He has published papers on issues of mutuality, disruption and safety. He served as Associate Co-producer for the film Black Psychoanalysts Speak in which he was also featured. He is a Co-Founder of the White Institute’s Study Group on Race and Psychoanalysis. He is writing a book, to be published by Routledge, entitled, Beyond Oaths or Codes: Toward Relational Psychoanalytic Ethics. He is in full-time private practice in New York City. 13:00 Lunch – please bring your lunch. Refreshments will be provided. 17:00 End of the day. 10 minute walk from Brixton tube station. 8 minutes walk from Herne Hill station. Further transport details can be found here: travel. For Concession rate – please email connect@baatn.org.uk. Payment details below.